My photographs are a formal inquiry into the visual relationships around us. Being a street and travel photographer is truly the best of two worlds. I search out color, shape and emotion of a subject while incorporating my love for culture and architecture. My passion lies in combining the two in a single image yet staying true to the story that presents itself. 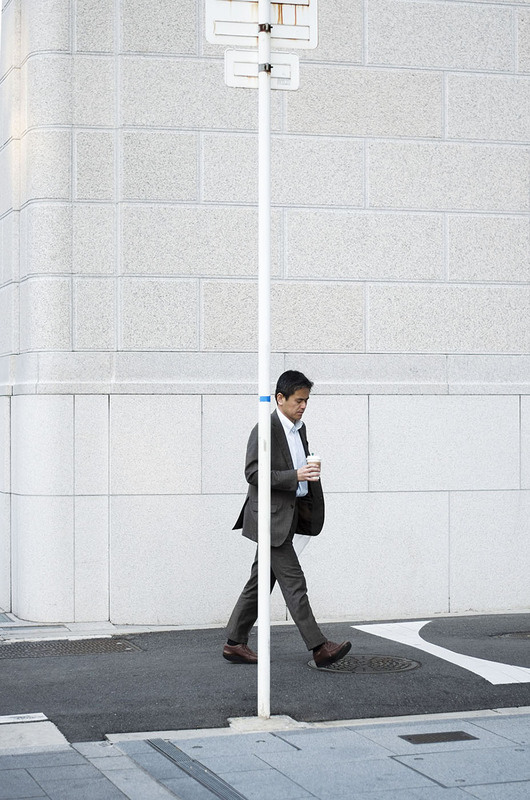 In this series I focused on silent conversations between nature, citizens and architecture observed at busy intersections in Osaka, Kobe and Kyoto, during one month of living in Japan. My attention was driven by the contrast of public and private, duplicated and individual, imperceptible and obvious. The body of work I explore mutual relationship between the nature, architecture and human in Japanese culture. At the same time, the story also provides a refreshing angle on ordinary life in Kinki region. Joana Krawczyk graduated from Architecture and Urban Planning University of Technology in Poznan, Poland. In 2014 she launched fashion brand called Klekko. At the same time she got interest in photography and after two years of running fashion brand, she decided to devote herself completely to photography. Her aesthetic is driven by simplicity and natural elegance. She brings focus on natural light and authenticity of the subject.